FADO IRISH PUB is a Chicago institution! There are actually locations all over the United States, but the one in River North is hands down our favorite. Many make the mistake of pronouncing it fay-doe, but it's actually f'doe and it means "long ago." You'll often hear the phrase in old Irish stories. 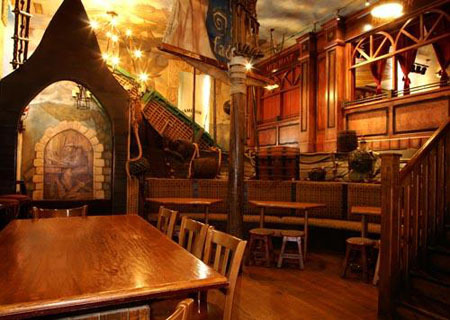 The decor here blends the best of the past with the best of today, so you'll feel like you've stepped back into an authentic pub in Ireland, yet you're listening to the hits of today and enjoying all of today's finest foods and drinks. 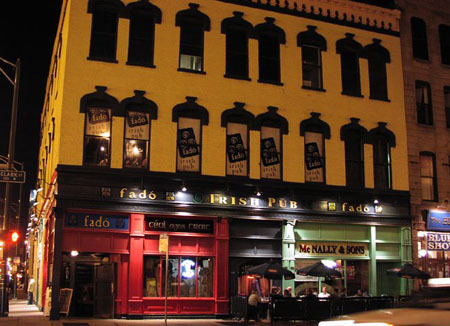 If you've never been to Fado's, it's about time to make that trip!